In 2011 Clifford Owens asked an intergenerational group of prominent African American artists, many of whom are featured in Radical Presence, for performance scores—written instructions describing a performance for him to do—which he then performed as part of a residency at MoMA PS1 in Long Island City, New York. For this performance, Owens will perform a selection of scores from the larger compendium. Clifford Owens received his BFA from the School of the Art Institute of Chicago in 1998 and his MFA from Mason Gross School of Visual Arts, Rutgers, the State University of New Jersey, in 2000. He also participated in the Whitney Independent Study Program in 2001 and the Skowhegan School of Painting and Sculpture in 2004. His solo exhibitions include Clifford Owens: Anthology, MoMA PS1, Long Island City, NY (2011); Perspectives 173: Clifford Owens, Contemporary Arts Museum Houston (2011); Clifford Owens, Hanes Art Center, University of North Carolina, Chapel Hill (2009); and Clifford Owens, On Stellar Rays, New York (2008). His performances include Photographs with an Audience, University of North Carolina, Chapel Hill (2009), and On Stellar Rays, New York (2008); Four Scores by Benjamin Patterson, The Studio Museum in Harlem, New York (2006); The Strangest of Theaters: Politics and Emotions, Roebling Hall, Brooklyn (2006); Studio Visits, Performa 05, The Studio Museum in Harlem, New York (2005); and Tell Me What to Do with Myself, P.S.1 Contemporary Art Center, Long Island City, NY (2005). 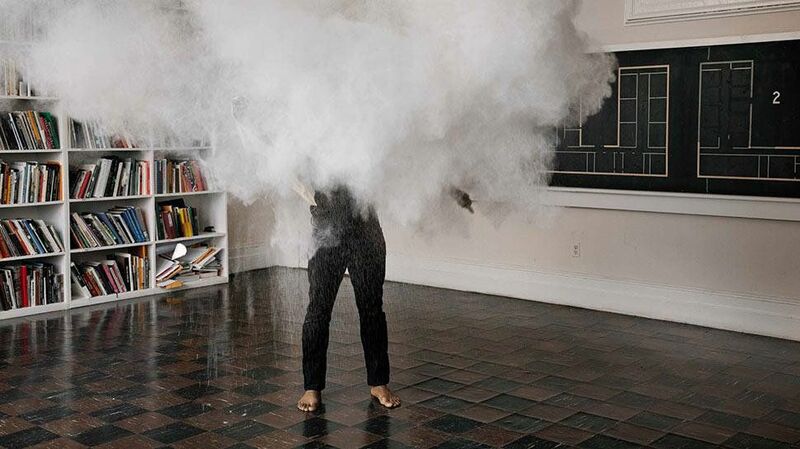 Owens’s group exhibitions include Deliverance, Atlanta Contemporary Art Center (2012); 30 Seconds off an Inch, The Studio Museum in Harlem, New York (2009); One Minute More, The Kitchen, New York (2009); Shaun El C. Leonardo and Clifford Owens, Momenta Art, New York (2008); Performa 05, New York (2005); Greater New York 2005, P.S.1 Contemporary Art Center, Long Island City, NY (2005); Influence, Anxiety, and Gratitude, MIT List Visual Arts Center, Cambridge, MA (2003); and Freestyle, The Studio Museum in Harlem, New York (2001).